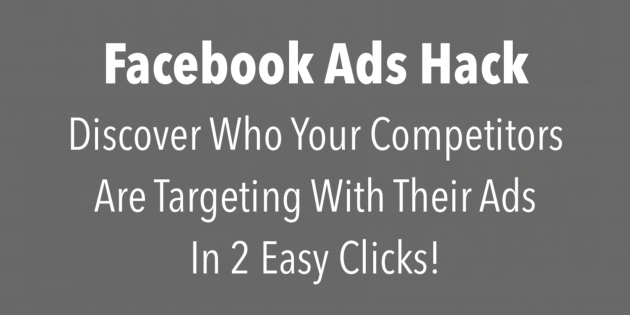 In this video, you’ll discover a simple hack that reveals who your competitors are targeting with their Facebook ads. I used to have my office in Commerce Michigan. Hope not too much snow bro! Just curious, when I set up an ad and I pick Real Estate as an interest, is that just people that have an interest about real estate on facebook or is Facebook picking up algorithms for searches they are doing on the ‘net’? We got about 10 inches the other day. Par for the course. For interest targeting, FB is only looking at behavior on the FB platform.